flow through semi-magnetic minerals and rocks deep within the Earth. During this cleansing, energizing and enhancement process, minerals and. and mineralized ...qualities shared by the Energy Stone Filtered water. Below are three important components that make mountain spring and. 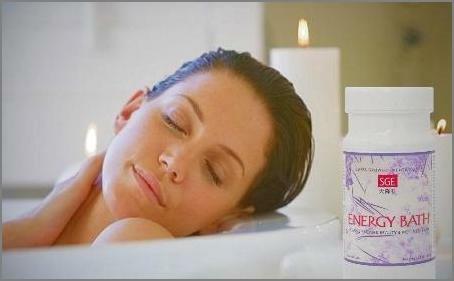 Energy Stone Filter water highly valued ...and truly healthier. The reduced structure that produces water with lower internal surface. tension and is more soluble, resulting in water that has superior hydrating ability, making it more bio-available than regular tap or bottles water. improved digestion and waste elimination. Waterfalls, lightening and ocean surf generate an abundance. of negative ions, their health effects being well documented. 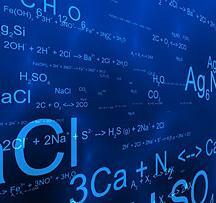 free electron that work to neutralize free radicals. the health and stability of healthy alkaline pH water. 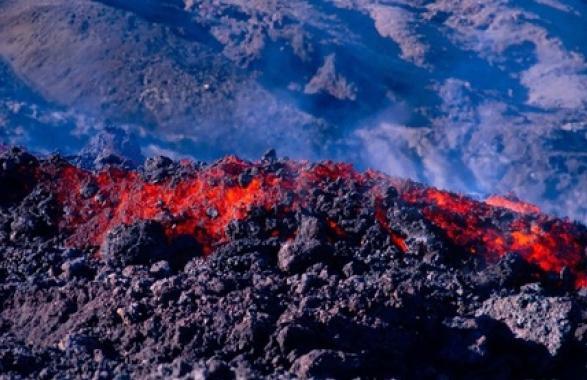 Volcanic minerals Impart negative ion antioxidants that detoxify and. promote improved tissue and organ function. Imparts 'life' to dead tap water, and a more desirable ORP (Oxidation Reduction Potential) value. Energizes cells, breaks down and removes toxic substances, and supports. the body's natural healing abilities. Reduced structure improves solubility and nutrient delivery to cells and. tissues. Supports improved digestion and waste elimination, and contributes to the detoxification of the liver and kidneys. Biostatic Quality imparted to water inhibits bateria and fungus growth in. the filter and filtered water. Micro and trace minerals perform vital structural and functional roles within. cells and tissues, including the transport of small ions, minerals and electrolytes. Also contributes to the stability of an alkaline pH water. Click here for cartridge details. in the most acclaimed mountain spring and deep well waters on the planet. Provides a physically and energetically clean water with structural, energetic,. and complex mineral components making for a very healthy drinking water. Provides bacteria and virus protection and the removal of physical and..
Cleans water of polluted energy frequencies, and imparts energy to dead.. Blocks 99.999% bacteria and 99.97% viruses, and also blocks. Filters fluoride, chlorine, chloramines, THMs, VOCs, pesticides,. Water Filter hardware and components, and filter media are. The Energy Stone Water Filter is offered as Countertop or Under Counter models. Clear, see-thru cartridge covers are available for the Countertop Filter, and may be purchased separately if desired. The Countertop Water Filter's chrome/brass diverter. valve connects to standard aerator style faucets, and is not compatible with designer faucets. It includes 5 feet of supply hose for convienient counter placement. The Energy Stone Under Counter Filter is supplied with. a high quality ceramic faucet that is installed on either side of your main sink faucet (spray hose or soap dispenser opening). If you do not have a pre-existing opening to accept this faucet, your plumber can drill the 1/2 inch opening. Hoses and hardware are also supplied for installation. "We observed changes in vital functions after drinking SGE water. The . experiment was conducted on six men and women in their 20s to 60s by using an AMI measuring device.This device measures human body functions with three parameters: AP value for autonomic changes, BP value for body fluid flows and vital energy flows, and IQ value for immunity functions. After drinking SGE water, BP and IQ values increased. The results showed that SGE water has effects to make body fluid flows and vital energy flows smooth and improve immune functions. "The AP value test revealed that SGE water agrees with the human body. without giving any extra load. The same experiment was conducted with tap water and several kinds of mineral water sold on the market. These waters did not show the same effects as did SGE water. "Additionally, in order to examine SGE water's immune function improvement. effects and cell vitalization functions, we conducted leukocyte reactive oxygen production volume tests with the micro channel passing method, in comparison with normal saline solution and mineral water sold on the market. "SGE water vitalizes more leukocyte cells compared with other types of. "I am writing this to let you know how extremely pleased we are with our purchases of the Energy Stone Water Filter System and Energy Stone Shower System! Also, to let you know how happy we were with your customer service. which was the previous type we just had that we were not happy with at all. The water we drank from the previous reverse-osmosis system we had would. actually bother our stomach after we drank it. We do not have that problem at all with drinking the water from this system. We felt better instantly, the first time we drank it! In addition, it is a very nice looking unit and is so easy to use (and was so easy to install)!! Excellent Quality Product! "We couldn't be happier with our purchases and with.your service and your. Company!! Thank you for bringing back health and quality to our water!! Sincerest Appreciation -- Mr. & Mrs. Redmond, Coral. Springs, Florida.". SGE water is used in Japanese hospitals, health. effects of various degenerative conditions. These healthy benefits have been attributed to the rare mineral and unique energy profile of Tenkoseki (Super Growth Energy Stone). For example, the manganese, copper and zinc contained in SGE Stone are. believed to contribute toward SGE's ability to vitalize Superoxide Dismutase (SOD), a reactive oxygen scavenging enzyme (antioxidant and free radical inhibitor), by removing active oxygen in the body. 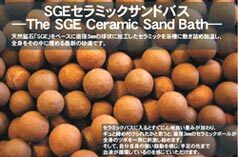 SGE Mineral Stone contains over fifty kinds of essential trace elements that. play important roles in the human body, and several ultra micro minerals found in no other stones. Along with basic minerals such as magnesium and and calcium, SGE Stone.. contains rare earth elements such as erbium, lanthanum, and lutetium, as well as abundant trace elements including rubidium, zirconium and vanadium which is believed to help in diabetes, cobalt, which is related to a growth factor of organisms; titanium in very small amount which help maintain vital functions coexisting with other elements; and selenium which enhances the immune system and has an anti-inflammatory effects. The Energy Stone Water Filter represents an industry-changing class of water filters whose development began in Japan during the early 1980's. The filters on the right are volcanic mineral stone and bio-ceramic based water filters that are manufactured and sold in Japan as of 2012. For over twenty five years, the people of Japan have benefited from these. water filter systems that deliver water containing the delicate structural, energetic properties, and vital trace minerals found in naturally occurring mountain spring and deep well waters. The crital foundation of these filters is the same as that which provides the. hightly desired qualities found in the most acclaimed mountain spring water sources on the planet -- volcanic minerals. 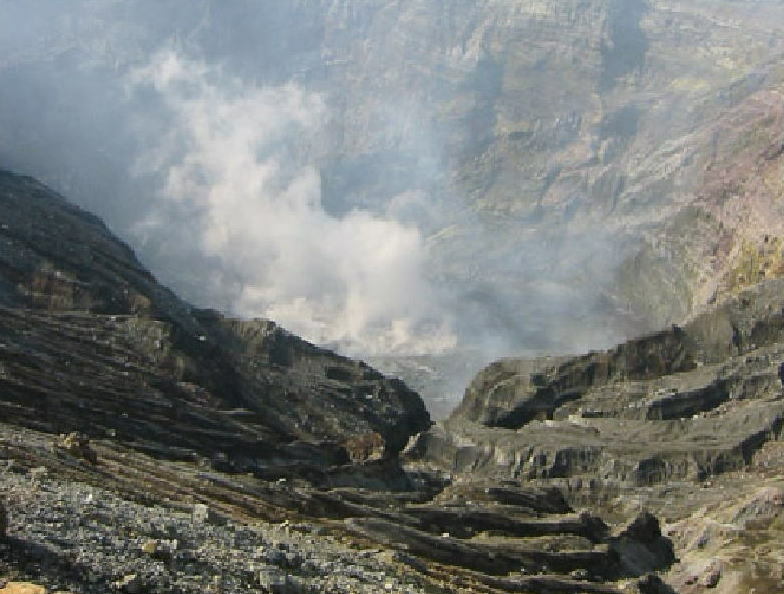 Volcanic (igneous) minerals are formed by the cooling and crystallization. of molten volcanic rock at temperatures between 1100 to 2200 degrees Fahrenheit, and from ground level to depths of 98,000 feet or more. Geomagnetic energies and crystallization patterns are absorbed by the molten magma as it cools, imparting to the resulting volcanic minerals their distinct characteristics, including high energy resonance frequencies. NOTE: Cartridges have been prepared for use on potable municipal or well water sources. The volcanic mineral enhancement cartridge should never be used without being preceeded by the Nano and Purification cartridges. NanoCeram-PAC Cartridge: Precise micron filtration blocks and adsorbs bacteria, viruses, drugs, heavy metals, chlorine and other contaminants from filtered water (see 'Cartridge Details' for more detailed information). Change cartridge no later than 18 months -- or sooner should the cartridge become saturated due heavy use or water conditions. Purification Cartridge (right): Removes, reduces, blocks or adsorbs, chemical toxins and contaminants such as chlorine, VOCs, ammonia, chloramines, Trihalomethane, bad tastes and odors, and much more. This cartridge should be changed at 18 months. Please see �Cartridge Details� page for more information. Fluoride Reducing Cartridge (left): Removes and reduces fluoride, heavy metals (aluminum, iron, lead, etc. ), and radio-isotopes from water. Change cartridge at 12 months. Please see �Cartridge Details� page for more information. Volcanic Mineral Cartridge: This enhancement cartridge is permanent and will not require replacement. It supplies a mountain spring quality water in taste, texture, structure, energy, trace minerals, hydration, solubility. Filters and Replacement Cartridge Costs. See Chart Above for Filter Costs. Clear covers available for Countertop or Display Filters - Please Call. Energy Stone Filter offers a range and degree of purification that is not available as part of any Japanese mineral and/or bio-ceramic filter to date. space program. Protection is provided from bacteria and viruses, as well as endotoxins, pharmceutical drugs, and endocrine disruptors, heavy metals and many other contaminants. 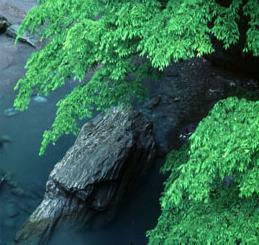 The natural energy and negative ions contained in healthy mountain spring. and deep well waters are not produced by eletrocuting their water molecules. As there are very few if any artificially produced products that have been. or human consumption -- it should come as no surprise that the electricity involved in producing alkaline ionized water would impart less than ideal qualities to the water molecules being treated. Besides being much overpriced, as most are sold by multi-level marketing. efforts, here are Seven Reasons Not to Drink Alkaline Ionized Water. A Miniature Mountain Spring ...in Your Home!